The tiny little people that come inside most LEGO® sets are officially referred to as Minifigures. Now, thanks to LEGO® and Bricks to the World, you don't have to buy another play set to add more people to your own - you can finally buy the people directly whenever you'd like! If you or your children are fans of the hit Fox animated television series "The Simpsons," for example, you'll be pleased to know that you can add all of your favourite characters to your LEGO® creations with the LEGO® Minifigures Simpsons Series! Discover who’s inside your ‘mystery’ bag with LEGO® Unikitty™! Collectibles Series 1. Fans of t..
Party all day long with LEGO® Minifigures! Bring exciting new play possibilities to existing.. Build a fairytale! 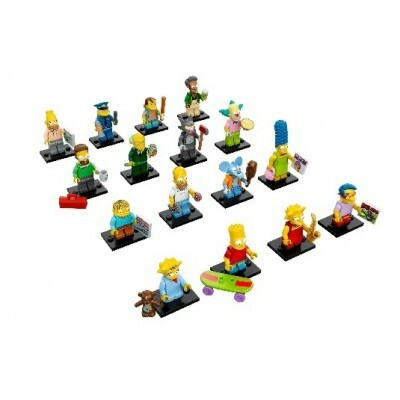 This set features a variety of minifigures that enable children to create and..
Get your mystery minifigure fix with The Simpsons Series - Series 2! "The Simpsons" has been a s..
Woo-hoo! It's The Simpsons! The LEGO Minifigures series continues with this great collection of 16 o..
Get your mystery minifigure fix with The Simpsons Series! 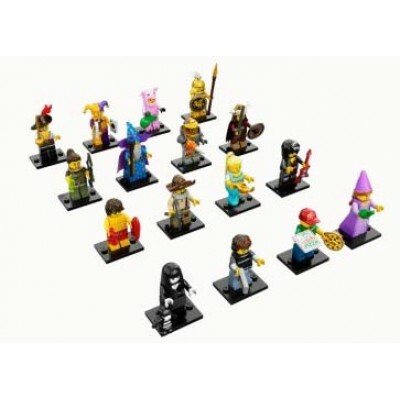 Contents 60 x minifigures in sealed bo.. Collect every mystery minifigure in The LEGO Movie Series! With 16 special minifigures featured .. Create your own NINJAGO® world with LEGO® Minifigures! Bring exciting new play possibilities to .. 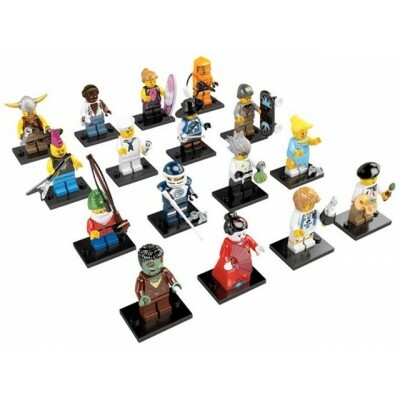 Collect all the new minifigures in Series 13! 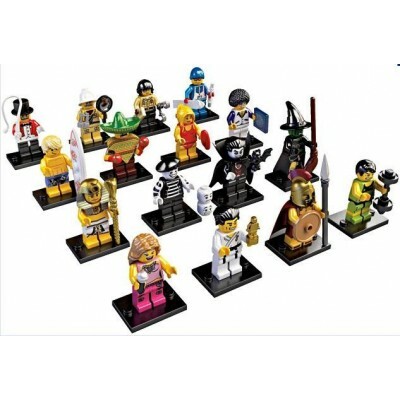 With 16 all-new, special minifigures in Series 13,.. Enjoy exciting, new adventures with Series 15 of the LEGO® Minifigures collectibles. 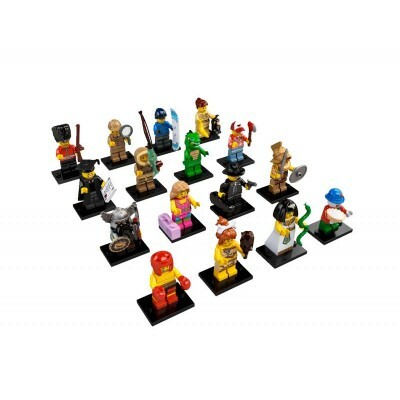 Collect the..
Series 16 Minifigures have arrived in style! Bring new and exciting play possibilities to existi..
A story in every bag, Collect all the LEGO® Minifigures in Series 17! Bring new and exciting pl.. Which mystery minifigure will you get? 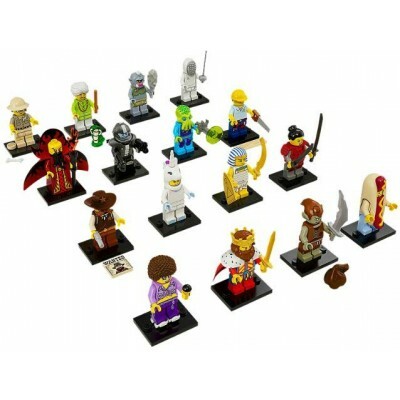 Discover 1 of 16 individual minifigures in each sealed my..
Get your mystery minifigure fix with Series 3! With 16 all-new minifigures, Series 3 adds even m.. 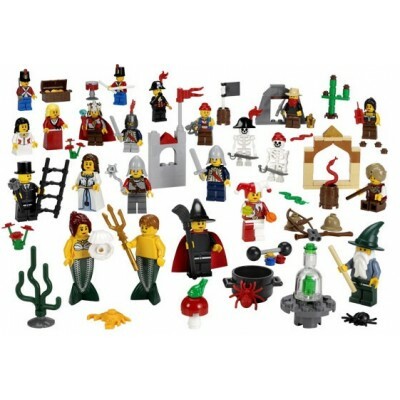 Collect all 16 new minifigures! Get your hand on an all new lineup of LEGO® minifigures! Collect.. 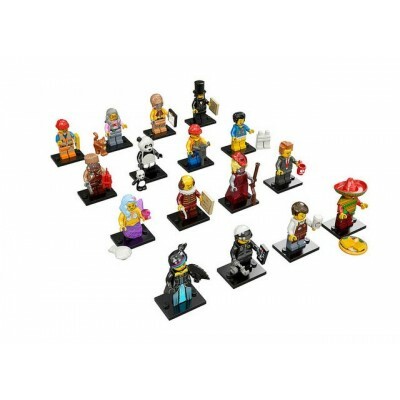 Which mystery minifigure will you get? 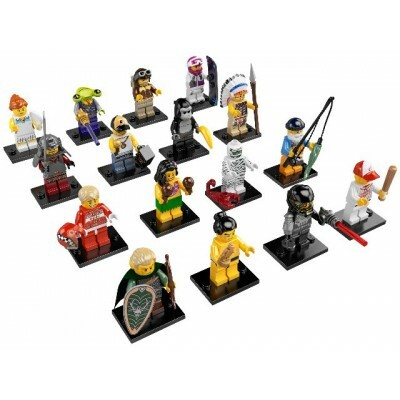 Collect all 16 new minifigures from Series 5! With 1..